Some residents of Guam and the Northern Marianas Islands think it may be time to change the political relationship with the U.S.
Department of Defense plans to ramp up training in the Mariana Islands are fueling efforts to re-evaluate the region’s political relationships with the U.S.
On Guam, the plans have given a sense of urgency to activists’ efforts to achieve sovereignty. Some like Lisa Natividad have been testifying before the United Nations for years about the island’s continued colonization. “How am I supposed to have love and appreciation for the U.S. presence when we don’t even have the right to vote?” says Natividad, an associate professor of social work at the University of Guam. In the Commonwealth of the Northern Mariana Islands, where residents voted to join the U.S. in 1975, some political leaders are questioning whether America is living up to its side of the political bargain. 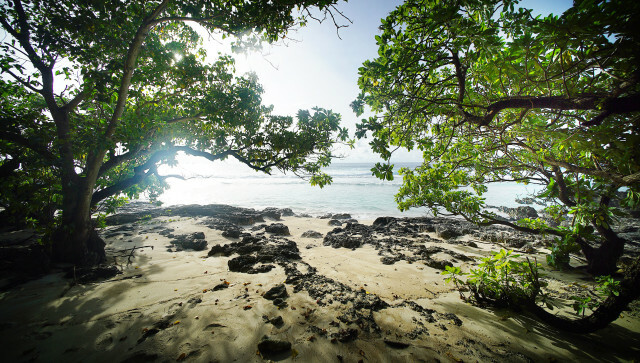 Islanders gave up their sovereignty and lots of land in exchange for U.S. citizenship and federal funding, but they were also told that they would retain the right to self-government. “It’s time to see if the right to govern ourselves is still intact,” says Felicidad Ogumoro, a local legislator in the commonwealth, who introduced a bill to re-evaluate the commonwealth’s political status. 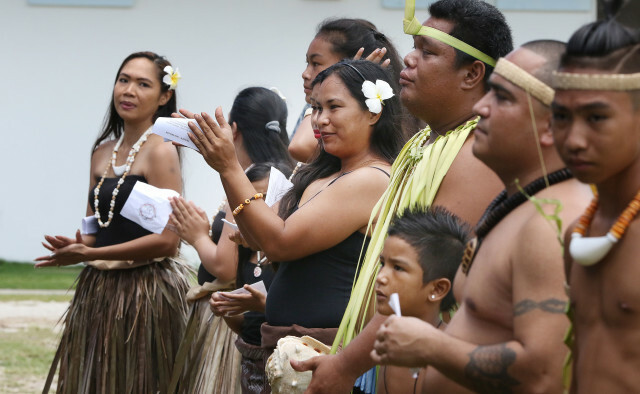 Chamorro and Carolinian dancers perform at a ceremony on Saipan to celebrate the local culture. Guam and the Northern Mariana Islands are both home to the Chamorro people. 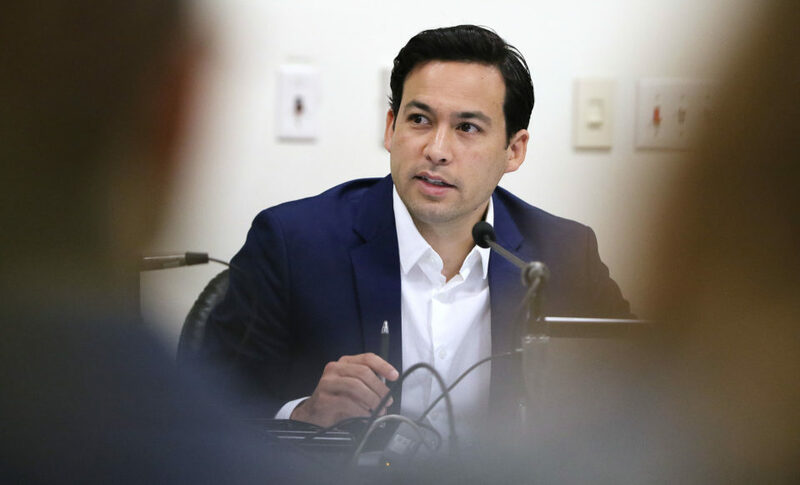 Some are questioning their political relationship with the U.S.
Ralph Torres, the commonwealth’s governor, has been involved in talks with the U.S. Department of the Interior and top defense officials for the past six months over labor and military issues. A key question is whether the military’s plans to set up new live-fire training ranges violates the Covenant to Establish a Commonwealth of the Northern Mariana Islands in Political Union with the United States of America, the document more commonly referred to simply as the Covenant that outlines the commonwealth’s relationship with the U.S.
Torres also recently signed Ogumoro’s bill creating a new political status commission to study that relationship. About 5,000 Marines and their families are being shifted from Okinawa to Guam, and the military is considering expanding training operations, including a new bombing range on Pagan island, amphibious assault training on some beaches and other war game capabilities elsewhere in the island chain. 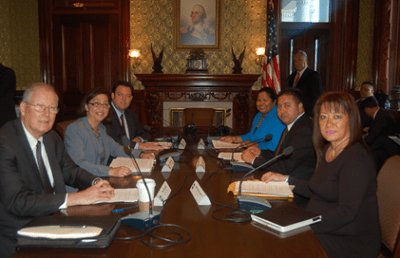 Officials from the Commonwealth of the Northern Mariana Islands talk about labor, immigration and the military buildup in Washington, D.C., with top defense officials and the Department of Interior. Even though Guam has had a strong military presence for decades and opposition to the buildup is marginal, the military’s plan has come under fire from activists who have been pushing for the island’s independence. Guam has been part of the U.S. since 1898 and its residents have been American citizens since 1950. But unlike residents of the Northern Mariana Islands, the people of Guam didn’t choose whether to be a U.S. territory. Many people think it’s about time they did. Guam Gov. 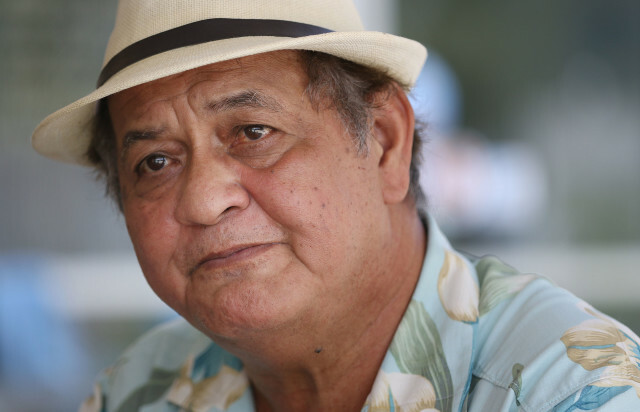 Eddie Calvo announced earlier this year that he wanted to hold a vote last month on whether Guam should become a state, an independent nation or a freely associated country like the Republic of Palau. But Calvo decided to push the vote back to allow for a bigger public information campaign about what changing Guam’s political status would mean. University of Guam president Robert Underwood is a strong supporter of Guam’s right to self-determination. 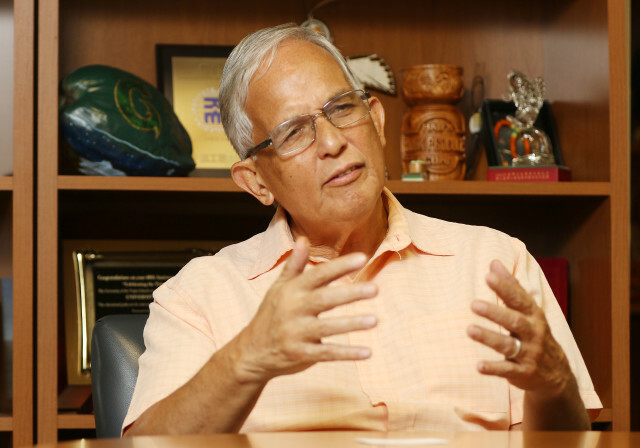 Robert Underwood, president of the University of Guam and a former congressman, has long believed that Guam should take control of its political future. 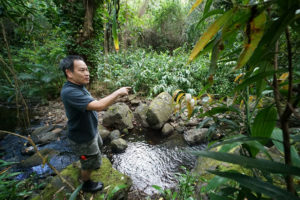 To him, it’s about leveraging the island’s strategic location — often called “the tip of the spear” — to help its residents. “I want to hold the spear, I don’t want to be the tip,” he says. 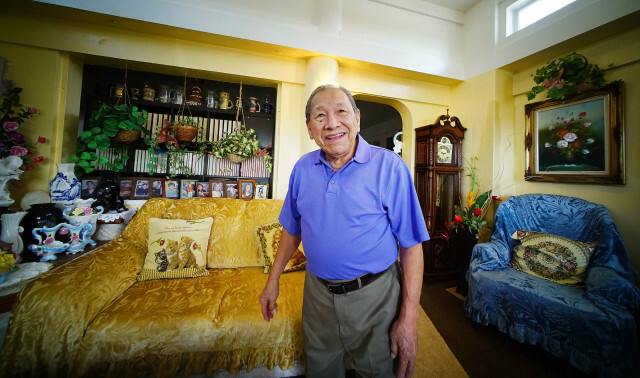 Vicente N. Santos was only 10 years old during World War II when his family lived in an American internment camp on Saipan. It was dirty, he recalls, and many people were sick and dying. 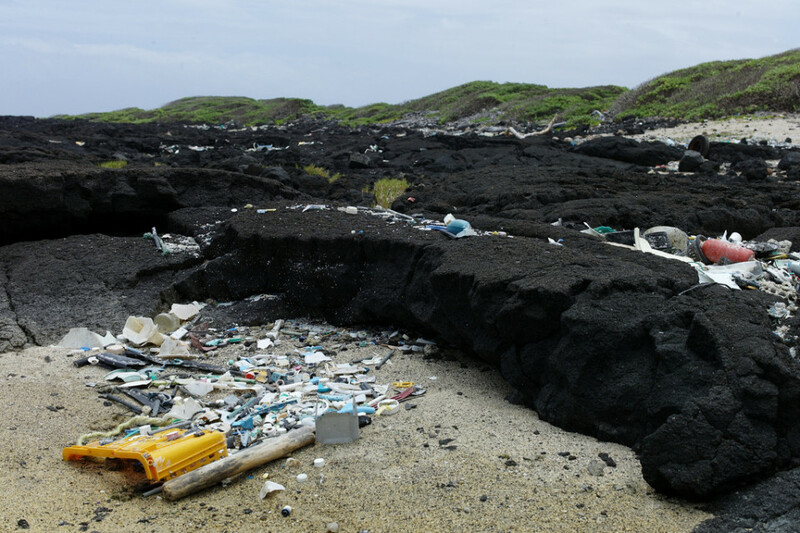 Years after the war ended, living conditions in the Northern Marianas had improved but there was still widespread poverty. In 1961, Santos had eight children, including one adopted kid, and was earning only 33 cents an hour. Vicente N. Santos from Saipan was involved in Covenant negotiations to create the Commonwealth of the Northern Marianas. 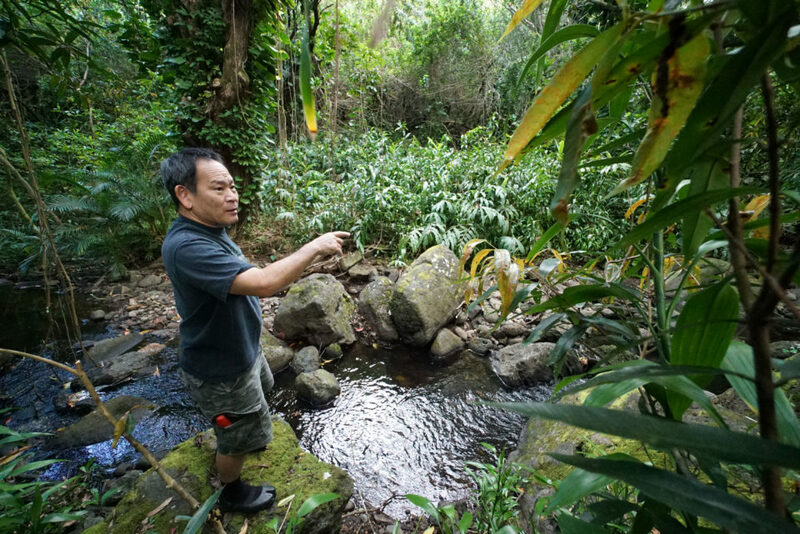 He didn’t get a raise for 14 years and remembers fishing and farming in order to support his family. In the 1970s, Santos joined a group of residents who would negotiate the political status of the islands with the U.S.
At the time, Guam had been part of the U.S. for decades and was doing much better economically than the Northern Marianas, Santos recalls. Guam and the Northern Marianas are both part of the same Mariana Islands chain but were colonized separately at the turn of the 20th century. 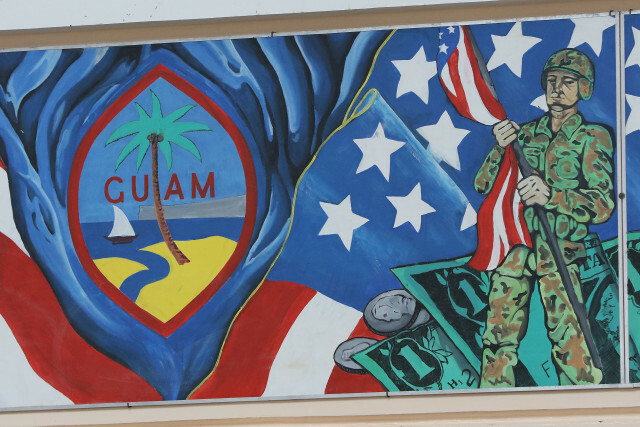 A mural showing Guam’s history is displayed at the local university. The U.S. acquired Guam at the end of the Spanish-American War. For more than 50 years, the island was a military outpost and residents didn’t have U.S. citizenship. During that time, the Northern Marianas passed from Spain to Germany, then to Japan. World War II devastated both Guam and the Northern Mariana Islands, but afterward, Congress granted citizenship to the people of Guam. Their economy started to grow, along with the military’s presence. The Northern Marianas were meanwhile administered by the United States as part of the United Nations Trust Territory of the Pacific Islands and saw relatively less economic growth. In 1969, the Northern Marianas residents voted to reunify with Guam, but Guam rejected the idea. Santos says people in the Northern Marianas longed for the same standard of living as Guam residents enjoyed. Giving up the islands’ sovereignty was “a way to alleviate the suffering of our people,” he says. In 1975, more than 70 percent of the Northern Marianas residents voted to become a commonwealth, which meant giving up their sovereignty but retaining the right of self-government. 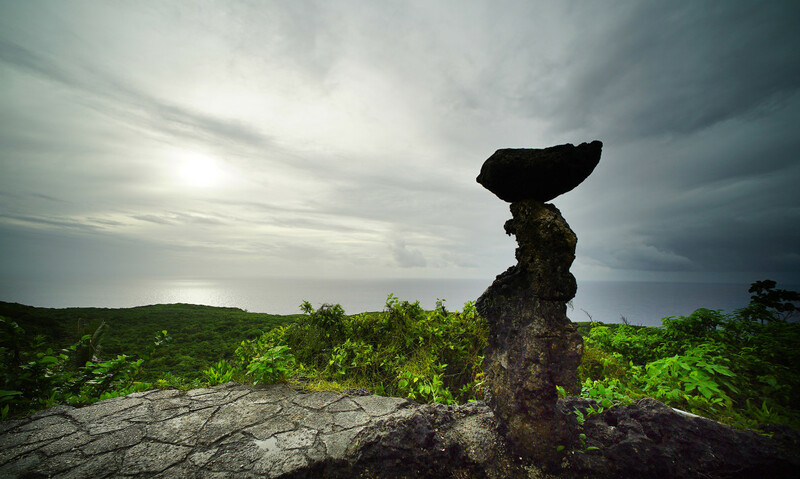 Rocks are shaped like latte stones, a traditional Chamorro structure, on the edge of a cliff overlooking Pagat, an ancient Chamorro village on Guam. 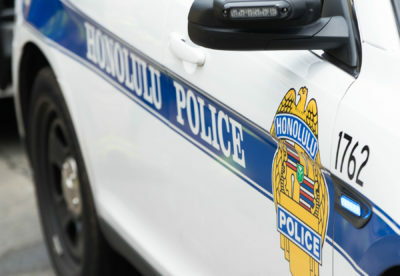 The agreement said the local government would maintain control over immigration and labor laws, and could limit who could own land in the islands. The U.S. military would get land for military training, including a 50-year lease on an uninhabited island for bombing practice at a cost of just $20,600, with the option to extend the lease for another 50 years. The Northern Marianas residents also agreed to lease the northern two-thirds of the island of Tinian for $17.5 million for a similar length of time. Residents thought the land would be used for a military base. Pete A. Tenorio helped negotiate the Covenant for the commonwealth and determine how much money to demand for land leases. The U.S. gained control over the strategic stretch of islands located just three and a half hours from Japan, and the Northern Marianas residents received U.S. citizenship and federal funding. Like Guam and other U.S. territories, residents of the commonwealth don’t get to vote for president or send a voting representative to Congress, but are effectively exempted from federal taxes. 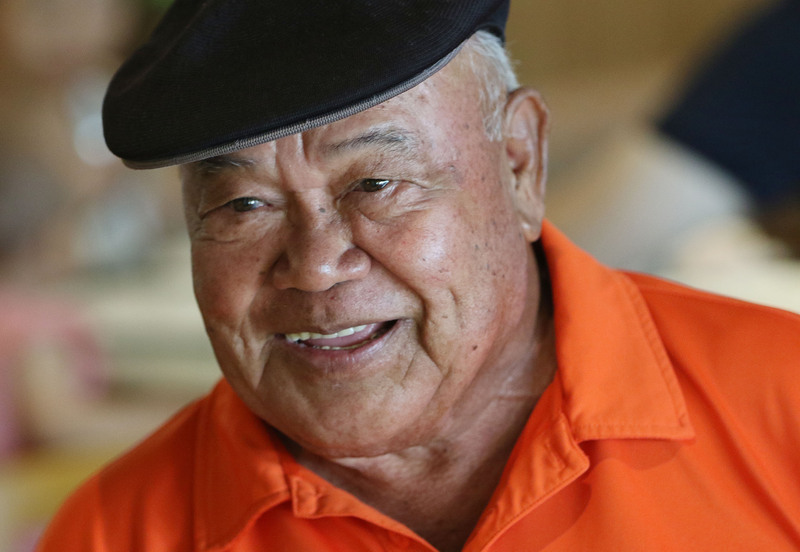 Decades later, Santos still believes the Northern Marianas residents made the right choice. Every year, millions of dollars of federal funds help pay for services like education, infrastructure and healthcare. 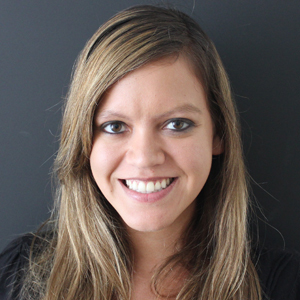 “It was a good compromise,” Santos says. Not everyone feels that way. Oscar Rasa served on the negotiating committee with Santos and strongly opposed the final agreement. He refused to sign the Covenant because he didn’t want the islanders to give up their sovereignty. He also thought there should be an option for unilaterally severing the contract. He even helped file a lawsuit protesting the vote, criticizing what he saw as a lack of public education. “The people were not ready or in any position to understand the substantive nature of the agreement,” he says. Oscar Rasa opposed giving up the Northern Mariana Islands’ sovereignty to the U.S., and still thinks it was a bad idea. The decades haven’t softened his perspective. He thinks becoming part of the U.S. has encouraged too many people to become dependent on federal funding like welfare, at the cost of losing cultural traditions. It hasn’t helped reassure Rasa that the federal government has asserted more control over time. Under former President George W. Bush, the U.S. took over the commonwealth’s minimum wage and immigration laws in response to concerns about labor abuses in the islands. The island’s economy, which relied heavily on contract labor, has struggled to adjust to the new rules. Garment factories folded and many guest workers were left jobless, and some became homeless. 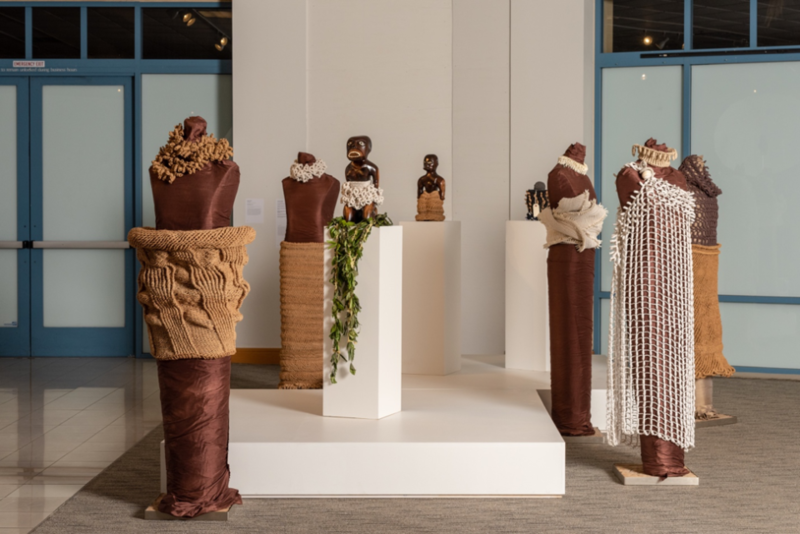 Bush also established a national marine monument to conserve waters around the northernmost islands, to the frustration of local fishermen and others like Genevieve Cabrera who say it was an overreach of power. This beach on Tinian is one of the areas where the Navy plans to practice training. The national marine monument surrounds the northernmost islands in the island chain. “The feeling that it was force-fed down our throats, that’s still very, very palpable today,” says Cabrera, a historian from Saipan. 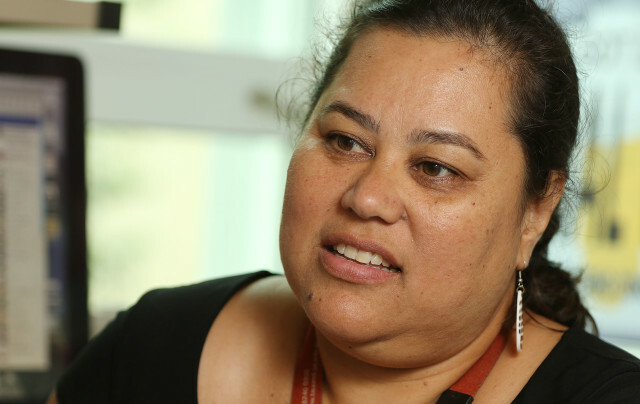 Rasa points out that the territory’s lack of a vote in Congress and for president is another drawback of the commonwealth’s political status. “We became nothing but a number,” Rasa says. Torres, the commonwealth’s governor, hasn’t expressed such strong views, but has been engaged in official discussions with top officials in President Barack Obama’s administration about the military’s plans and labor issues since June. The Interior Department has been keeping the contents of the discussions secret, but is working on a report to send to Obama this month. The report is supposed to then go to Congress, where it could help inform any future discussions about the military’s plans in the Northern Marianas. 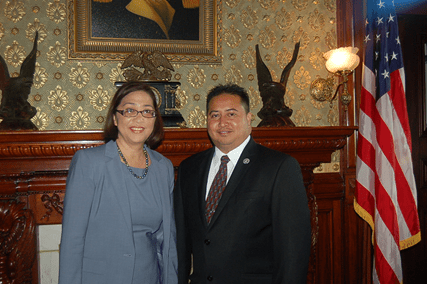 Esther Kiaaina from the Interior Department stands with CNMI Gov. Ralph Torres in Washington, D.C. They’ve been having formal discussions about labor issues and military training in the commonwealth. The discussions, known as 902 talks because they’re set up by Section 902 of the Covenant, are intended to help resolve some of the ambiguities in the Covenant. And there are many of them. 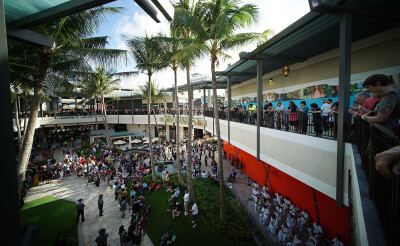 Joseph Horey, an attorney who lives on Saipan and has written about the Covenant, says the document doesn’t spell out how to resolve conflicting claims between the U.S. and the local government. But even if some Northern Mariana residents aren’t happy with the Covenant, at least they got the opportunity to vote on their political status. That’s not the case on Guam, and Natividad says that the island’s continued colonization hurts the community. Lisa Natividad is an activist on Guam who is passionate about decolonization. “As comfortable as we may seem to be, it’s not acceptable,” she says. Natividad says she wasn’t aware of Guam’s history until after she went to college in Hawaii, where she learned about Guam’s past and Hawaii’s sovereignty movement. Now she’s vocal about her support for independence and her opposition to the military buildup. Even though she was an advocate for self-determination before the buildup was announced, she says it underscores the need for Guam to decide its political future. Efforts to hold a plebiscite on Guam have occurred periodically since citizenship was granted in 1950 but haven’t gone anywhere. Natividad hopes this time is different. Her office at the University of Guam is decorated with flyers and literature about the military and colonization. She has been participating in a government commission to educate people about what independence would mean for the island. 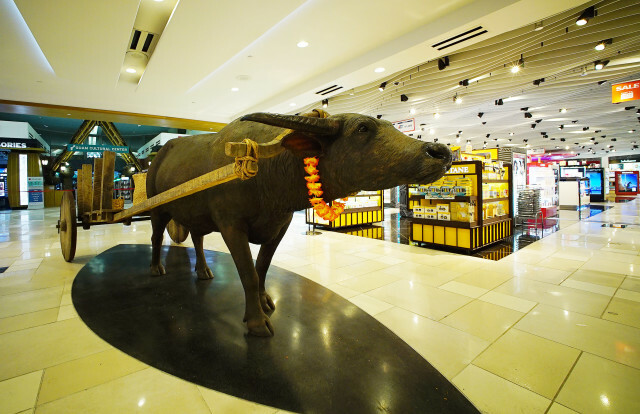 This statue of a carabao in the Guam airport is a symbol of the Chamorro culture. Still, she acknowledges that her perspective is in the minority on Guam, where many support the U.S. presence. Underwood thinks that the island’s residents don’t have enough grievances to make a change. But even Guam’s governor, who supports the military buildup, says the status quo of remaining a territory is unacceptable. “What makes Washington, D.C., tick is money, power and votes,” Calvo says.